Hello there. Lovers of reading are in luck, particularly those who love fantasy, medieval and fiction genres. These sagas have always been characterized by causing great admiration among the vast majority of readers, just as The Lord of the Rings by Tolkien caused in its time. If you just watched the movies, here are some reasons why you should read the books . 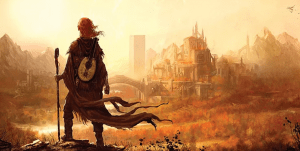 A series of heroic fantasy novels that have been awarded on multiple occasions. Written by George R.R. Martin. The first volume saw the light in 1996. 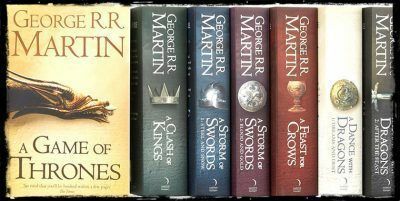 Although at first it was thought that it was a trilogy, at present, there are five published volumes and it is foreseen that there are two more. You can also find prequel and short novels for specific characters. 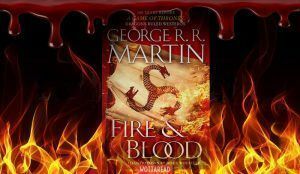 You also have Fire&Blood, the prequel of this series, learn more here. Surely many people know the saga for the series “Game of Thrones”. It is situated in a medieval fictional world where different races exist, some more friendly than others. But also, I discovered a weird progression in George R.R Martin’s last published novels, This is why you shouldn’t read Game of Thrones…. Martin himself has cited Tolkien as one of his references on more than one occasion, so the similarities with The Lord of the Rings are served. 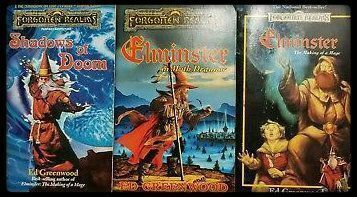 A set of epic novels, where there are several trilogies. It was created by Laura & Tracy Hickman and written almost entirely by Margaret Weis and Tracy herself. For role lovers, like the mythical game “Dungeons & Dragon”, this saga is just mandatory, since these novels are full of references to this game. The world of Krynn is divided into several continents, one of the most important is Ansalon. The main story is based on a group of friends and their search for any clue that allows them to prove the existence of the gods that disappeared after the Cataclysm. A series that are not yet finished and in which you will find different similarities to the Lord of the Rings, as the journeys of its protagonists and the dangers that lurk around every corner. 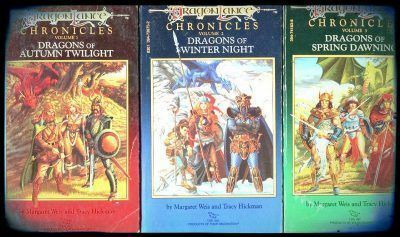 In case you are interested in this series, here you have the Introducing Dragonlance article for further info. Also, these series have a 3D animated movie and 3D based on the first story in the series, dubbing includes such relevant voice actors as Kiefer Sutherland, Lucy Lawless or Phil LaMarr. 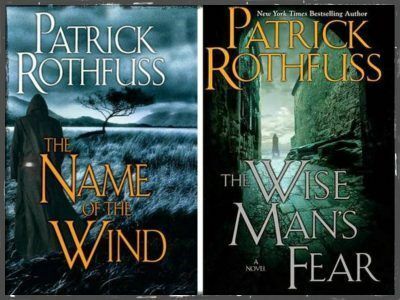 Although it is a trilogy, the same author (Patrick Rothfuss) has commented that he does not exclude the idea of extending this wonderful saga. The third and last (for now at least) book still has no publishing date. Join the story of Kvothe, a famous and adventurous prodigy in practically everything who disappears from public life and is found in a remote village, where a character known as Chronicler persuades him to tell him the story of his life, a story of how he became a legend. Read in more detail here. 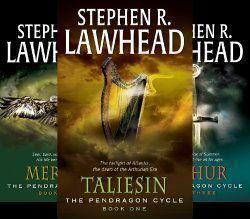 Stephen R. Lawhead was commissioned to make a fantastic novel, which is based on Welsh and Atlantean mythology. The story takes place in Britain when the Western Roman Empire is coming to an end. The last of the five books came to light in 1997, formed by the trilogy and two prequels thanks to the great success of his novels. As in The Lord of the Rings, you will have magic, cruel battles and an adventure that deserves to be read. A fictional universe that is also based on the role play “Dungeons & Dragons”. Ed Greenwood was in charge of giving life to this story. Faerûn is the continent chosen for the most famous characters, with hundreds of places, organizations, plots, and nods to different video games, such as Baldur’s Gate. You will be able to find a great number of Races like: Humans, Elves, Dwarfs, Gnomes, Orcs, Dragons, Centaurs, Satyrs, Goblins, Lycanthropes, Trolls, Demons, Wyverns, and a long etcetera. Currently, there are more than 30 books that count thousands of adventures that you can not miss.